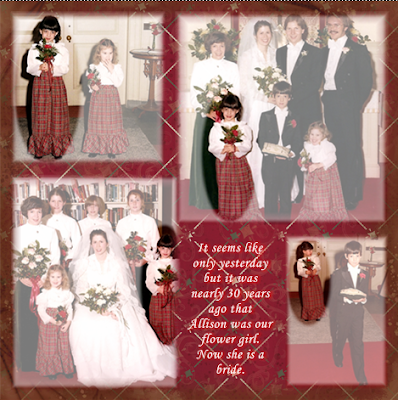 We are still enjoying the wedding festivities - I'll soon be able to add the photos of Allison as a bride and redo my digital layout. I thought I'd share links to a couple of older posts for those of you who may not have been readers of my blog last year. 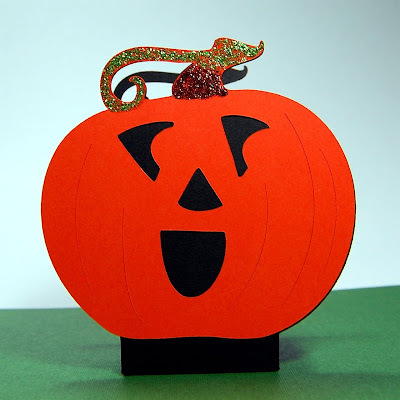 The pumpkin candy holder at the top of this post is easy and fun to make. It uses the A Child's Year cartridge but you can easily substitute other cartridges to make a similar candy holder - the basic principals for this type of holder stays the same no matter what decorative shape you choose. Here is a LINK to the post from October. 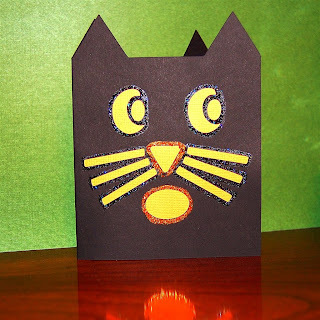 This Halloween Black Cat card uses only George and can be cut on a 6 x 12 or a 12 x 12 mat. If you have the Original Cricut you can cut this with just the trial version of the Design Studio software. Here is a LINK to the post, also from last October. When I looked at my post from yesterday, I decided that my original layout plan was a bit more to my liking. 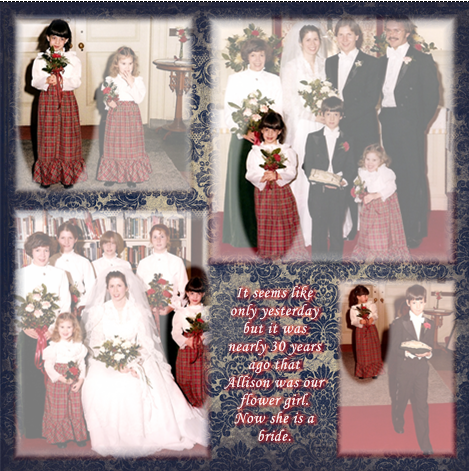 In this version, I did not use a full sheet of "virtual vellum" - I simply covered each photo individually and created the oval cut-outs. Here are a few variations of this plan. Once again, digital scrapping gives you the possibility of trying lots of ideas before committing to a final version! This version uses paper from the Reminisce Palette. and this is from the Jewel Winter Power Palette Additions. In all three cases I added a glow behind the words. Cute candy holder, love them. 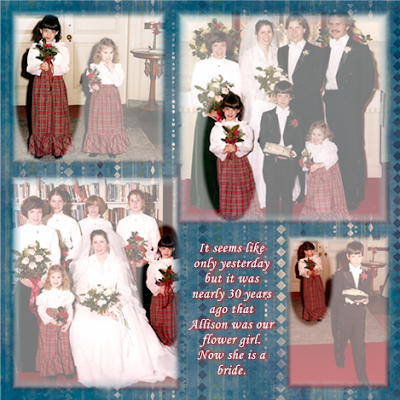 Your layouts of your flower girl are beautiful. The candy holders are great! And my vote is for the Jewel Christmas Palette. I think the photos stand out better on that one than any of the others. What cute candy holders. As for your LO, I think I'm partial to the one with the red background. I love how it coordinates with the girls skirts and it just seems so Christmasy!